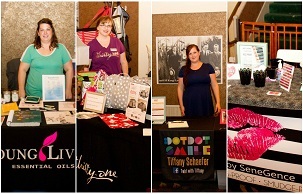 Selling at JBF - in 3 Steps! Vendor Booth packet at bottom of page and Vendor/Valet Tab! Consignors receive 60% less a $12 Consignor Fee. Consignors who participate in this joint venture and help before or during the sale for a minimum of 4 hours receive up to 70%. *don't stress if you can't arrive by 6 - we have a narrow timeframe for dro-off, but come when you can. We would love to have you sign up to become a JBF BFF Helper! Don't underestimate the value of being together in a community of moms helping moms: this is a fun event! In Vancouver, we go by points, because some shifts are worth more than others. Some shifts earn double or even triple points, so take notice when you go to sign up! ***ALL CONSIGNORS WHO HAVE > 500 ITEMS: PLEASE READ THIS! BFF HELPER SHIFT SIGN-UPS ARE OPEN MONDAY APRIL 8th! "BFF Helper" GROUP ~ Doing this will make the shift scheduler pop open. Then you can see all of them and select which fit best for your schedule! To receive 65%, Consignors need to earn 4 points. To receive 70%, Consignors need to earn 8 points. Each shift has points attached to it. Normal shifts during the Event earn 4 points. The most important, or strenuous shifts, earn double (8) or triple (12) or quad (16) points. So, it's simple to receive 70%, by working just one 4 hr shift, as long as it earns 8 or more points. Beyond 8 points, the more you earn, the earlier you get into the presale. Help the most; shop first! We encourage all Consignors to help for at least one 4 hr shift. If you don't fulfill the shift you signed up for, and did not find someone else to take your place, or receive an excuse due to your circumstance, you will receive 50% of your sales. We count on your participation to make the events run smoothly! Helper 50% off Presale Saturday 5pm. *** Helper presales are for helpers only. Consignors may bring a friend to Consignor presale. Drop-off will be Thursday 12n-6pm. PLEASE read your emails for detailed information. There will be rolling racks inside. There is also a new entrance to the gravel lot, so there will be several other spots close to the entrance. IF YOU USE THE CIRCLE DRIVE, after you unload your items into the lobby, please go move your car to the new gravel parking lot adjacent to the venue. (where JBF trailer is parked) so as not to block the drive for other consignors. If you do use the circle drive and move your car, come back inside to check-in and take as much time as you need to put your items on the floor. *Stay tuned - final "we are ready for pickup" will be announced on FB - TIA for your patience waiting until we are completely ready before you are admitted into the space. **Helper presales are for helpers only. Consignors - bring a friend to consignor presale. ▼Gather: We sell children's clothing Newborn through size 20 as well as maternity. Look at your clothing items as if you were going to purchase them. No stained or damaged items will be accepted. Any items that look like "mom's" clothes will be rejected at inspection. Please freshly clean your clothing items. Replace missing buttons, sew loose hems and seams, and clip loose threads. Please button all buttons, snap all snaps, zip all zippers before you arrive at drop off. This will ensure that there are no defects in the clothing. The newer the item looks, the better it will sell. Package & Hang: Hangers - Please hang clothes so the hanger hook points to the left (like a question mark). Hang size 0-6 clothing on child-size hangers and sizes 7-20 and maternity clothing on adult-size hangers. Clothing that falls off the hanger onto the floor does not sell well. Old Navy and many outlet stores are great places to get free hangers (they throw away hangers daily!) and WalMart & Target sell child-size plastic tube hangers at a great price. Clothing Sets - Sets tend to sell better (under size 6) so match things up if you can. All garments should be hung with the hanger hook pointing left (hanger should resemble a question mark when looking at the front of item). Safety pin or use a tagging gun to attach clothing sets securely with bottom garment hung on the backside of the shirt, so both pieces can be viewed without separating them. Pants/Shorts/Skirts - Pant-clip hangers are great but if you use a standard hanger, simply use your tagging gun to attach pants to the top part of the hanger so the garment will not slide. Onesies, socks, tights, hats and infant mittens need to be in a clear zip-lock bag (you may group multiple items in one bag). Please be sure to label your tag well so that customers know if the items are short-sleeve onesies or long-sleeve onesies. Tag: Clothing on Hangers - Attach tag with a tagging gun or safety pin to the label of shirt or upper right front of pants. Insert the gun in a label or inside seam NOT through part of the clothing (to avoid making a hole or tear in the clothing). Also, pull on the tag to make sure it is properly secured and will not come off easily. Please make sure consignor tags are pulled out of the clothing so they are easily visible to the customers. Non-Hanging Clothing - Please use tagging gun or safety pins to attach tags to onesies, socks, tights, infant mittens, and accessories. Be sure to also attach multiple pieces together. Then put these items into clear plastic bags. Please do not tape bags closed - shoppers want to feel and inspect items before purchasing. ▼Gather: Books, book sets, board games, puzzles, video games, video game systems, scrapbook, arts & crafts sets are great items for resale. Please only bring kid's, parenting, homeschooling, pregnancy and child rearing books. Games and puzzles must have all pieces. (No "adult" content please.) Check items to ensure they are in great condition. Package: Use clear self-seal bags or clear cling wrap (saran wrap) to hold multiple items together; Tie sets of books together with ribbon/string. Be sure that parts/games to video game systems (such as Vtech) cannot be separated or switched out at the sale. Video game cartridges will be placed in a cabinet near checkout to prevent theft. Please do not tape DVD cases shut - we will inpsect disc and seal with security sticker. Price: Prices can range from $.50 to $50 in this category, depending on the item. Price to sell especially for books & DVDs as there are always lots to choose from at the sale. If you would like a high priced item placed in the High Value Cabinet near Checkout, please see a volunteer during Drop Off. Tag: When tagging books, please attach your tag to the book with clear tape that can be removed without damaging the item. Tape tag to the outside cover of glossy books and to the inside cover of books that will easily tear when removing the tag. Please do not use masking or double sided tape. Hole-punch JBF tag and tie to sets. All you need to do is register for your local sales event. Locally owned by families like you! CLICK Here to Register NOW! ▼Gather: Make sure that the shoes are clean, clean, clean! We will be VERY selective with shoes during Consignor Drop Off & Inspection. Shoes must be current season (Fall = October thru April; Spring = April thru October). ▼Gather: Ride-on toys, block sets, dolls, remote control cars, outdoor toys, learning toys, and more. All toys must be checked for safety recalls before consigning. Clean all toys thoroughly. Please test to make sure that toys and equipment are working properly. Battery operated toys must include working batteries (these can be purchased inexpensively at local discount stores). Gather: Diaper bags, infant carriers, backpacks, and purses are great consignment items. Please inspect all items carefully to make sure items have not been recalled, stained, damaged or are missing pieces. We no longer accept breast pumps (accessories that can be sanitzed are accepted). Package: Zip-tie items to an adult-size hanger. If you would like to place high priced itmes (over $20) in our High Value Cabinet near Checkout, please see a volunteer at Drop Off for assistance. ▼Gather: Nursing covers & pillows, feeding items, monitors, safety items, diapering & toileting items, rattles, and more. Please check for safety recalls on all items that you consign. ▼Gather: Exersaucers, swings, high chairs, changing tables, cribs (Manufactured AFTER June 28, 2011; please bring Crib Waiver for all cribs), strollers, bath seats, baby walkers, car seats & car seat accessories must be checked for safety recalls, must have all parts, and be in good condition. Children's furniture - beds (toddler, twin), desks, side tables, dressers, etc. Household furniture - please see Mommy Mart information below. Package: Clean all infant equipment thoroughly. If item has multiple pieces use packaging tape, zip-ties, or string to keep items attached together. If wooden furniture has loose parts, use clear plastic wrap to secure item. All furniture and equipment must be assembled during the sale. Batteries must be included, if applicable. Please bring a Car Seat Checklist for all car seats, booster seats, and car seat bases. ▼Gather: Household items that other families will use (no knick knacks please). You may consign storage solutions (baskets, bin, shelving), furniture (no upholstered items), decor (lamps, wall hangings, no antiques), and kitchen items (small appliances, utensils, etc.). 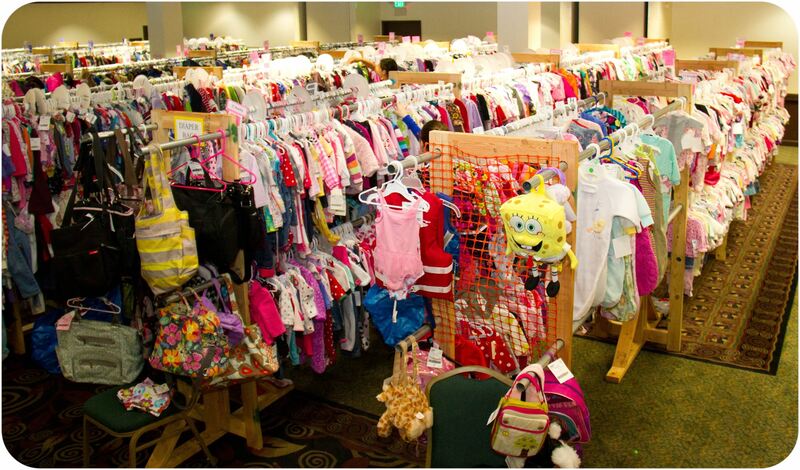 No Donation Option: unsold Mommy Mart items must be picked up by the Consignor after the sale. We are not able to donate these items after the sale. Package: Keeping tags and multiple items attached is essential for your items to sell. Bag all small parts belonging to toys/equipment in self-seal bags and tape the bag shut with clearpacking tape. Fasten the bag securely to the item with ribbon, tape, or zip ties. Items must include ALL working parts. ▼Gather: Bedding sizes accepted are bassinet through twin only. Please be selective when selling bedding, blankets, receiving blankets, burp cloths, and towels. New and barely used items sell best. Check carefully for stains; shoppers get very disappointed if they find a stain in a bundled blanket once they get home. • SHOPPERS purchase items at GINORMOUS savings often 50-90% off retail! • CONSIGNORS sell their items to make money on items they no longer need, and they get to shop early. • BFF HELPERS receive more on the items they sell in our joint venture, and they shop extra early! All you need to do is register for your local sales event. Locally owned by families like you! Vendor Booth Signups Open! CLICK HERE! 1st-come, 1st-served, with limited spaces so don't delay! We have power available for 4 spots; also 1st-come-1st served. Welcome to JBF Vancouver! We're the fastest growing consignment event in SW Washington! That makes JBF a win-win for everyone!